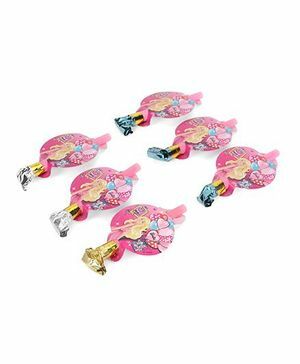 Make some noise with this Barbie Theme Blowouts! Comes in a pack of 6. Blowouts are perfect for pinatas (khoi bag) fillers as well as for putting on table for each child. Make your child's birthday party fun and noisy with this pack of 6 blowout horns from Barbie.